Drs. 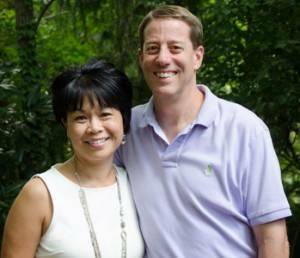 Patrick and Evangeline O’Dowd came to North Carolina in 1991 with the goal of opening a patient-centered eye care facility in a comfortable, family-friendly community. Deciding on Fuquay-Varina, they established their practice in the spring of 1992 in a small downtown office. 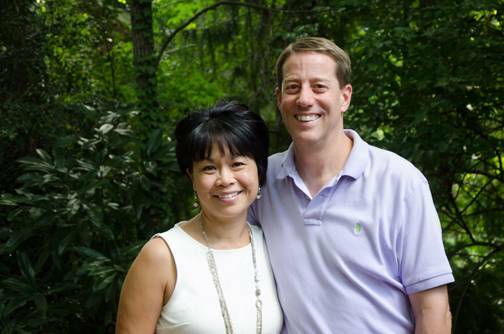 Their practice grew steadily and, in 1994, they moved to a 1,200 square-foot office in Sunset Lake Marketplace. Along with a handpicked staff of two assistants, Drs. O’Dowd and O’Dowd continued to practice at this location until the end of 2000. Early that year they began designing a new, larger office that would cater to the needs of the ever-growing community. With careful consideration and the help of a local architect and area craftsmen, a 4,000 square-foot, state-of-the-art eye care facility emerged and, in early 2001, they celebrated the grand opening of their new office on North Judd Parkway. Drs. O’Dowd and O’Dowd increased their staff to more than ten well-trained professionals and equipped their office with the latest in eye care technology. A spacious welcoming area complete with a children’s play area, opens into a modern dispensary complemented by hand-crafted cherry cabinets filled with a wide selection of eyeglass frames. The medical area includes a pre-test room complete with evaluation instrumentation, a surgical suite designed for laser vision correction and several contact lens instruction stations. There are five exam rooms available in order to provide attentive, yet efficient, care and to accommodate anticipated future growth. Offering the best in modern eye care and superior customer service in a friendly, caring environment has proven to be a successful formula, one that Drs. Patrick and Evangeline O’Dowd plan to employ well into the future. Continually educate our staff and doctors sothat they, in turn, can educate our patients about the newest treatments and trends in optometry.